snick into gear with authority. Steep and tall arms with 12mm roller make for excessive force required for shifts, w/o precision. 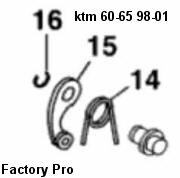 oem bmw 23 00 7 716 793-"0170"
This product fits 50 vehicle variants. It's not being held by any "flat area" made for the double arm cam follower. 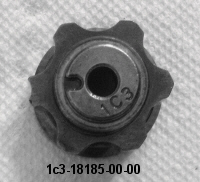 The only point of contact is the single indent for the pointy part of the cam follower. 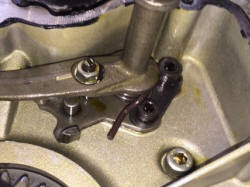 So I am guessing I could have used the pre-84 single bolt mount cam follower and avoided the machining. 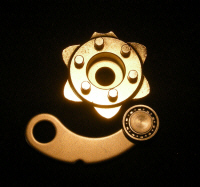 We can upgrade your old stock arm to a new style microbearing arm. 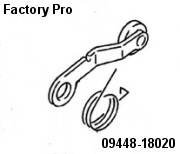 We make microbearing detent arm. 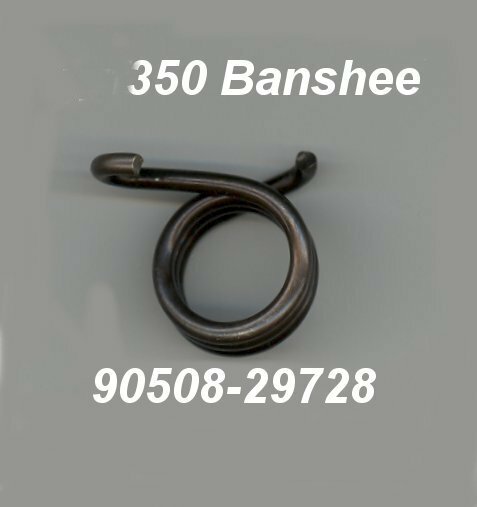 we can make a fresh, new spring if you supply on old, stock spring. 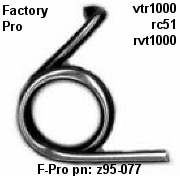 can make an F-Pro spring with a sample. Trying to race this bike with the stock shifting parts is frustrating. cb175 68- 72 IT WORKS! 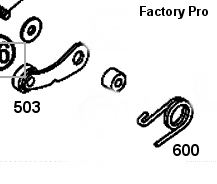 cbr1000rr 04-07 Can make microbearing detent arm and heavy duty spring. 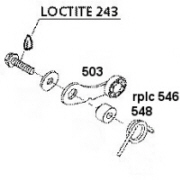 part discontinued by Honda - we are able to rebuild and upgrade a worn arm. 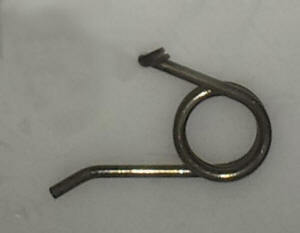 part discontinued by Honda - we are able to wind a new spring if we have your old sample spring. 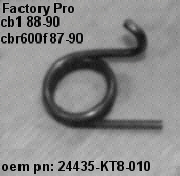 xr200 84 Can make microbearing detent arm and heavy duty spring. 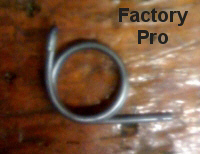 95-09 Buy microbearing arm and F-Pro Shift spring - here. 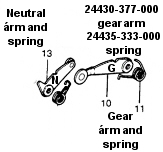 #9 is "gear" shift spring 24435-286-020. 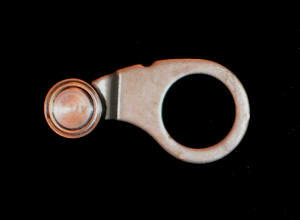 #7 24430-286-030 arm inline with the "shift star". 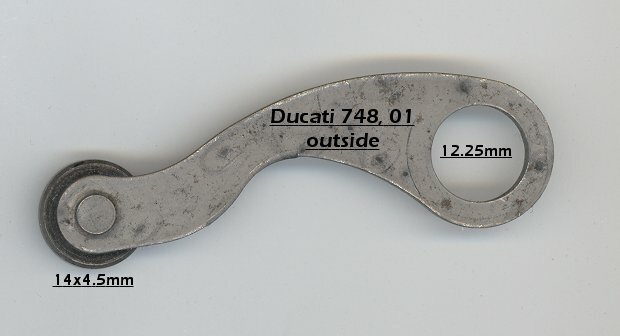 The round disc below the number "7" is the "detent roller" that indexes with #8 "detent star". #20 5/16" ball is the neutral detent. 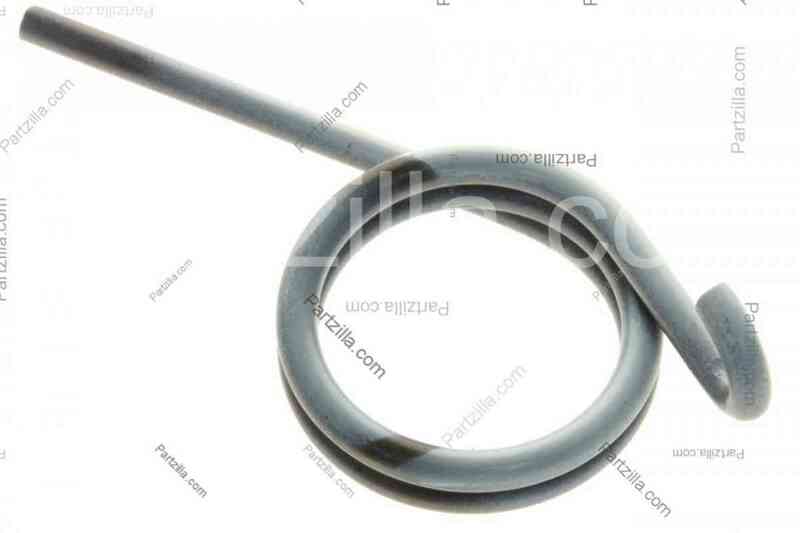 XR400r 96-04 Can make microbearing detent arm and heavy duty spring. 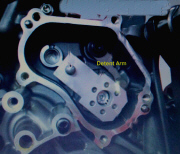 Stopper arm discontinued by Honda - we can rebuild worn arms. 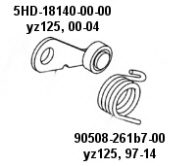 Spring discontinued by Honda - we can build new springs. 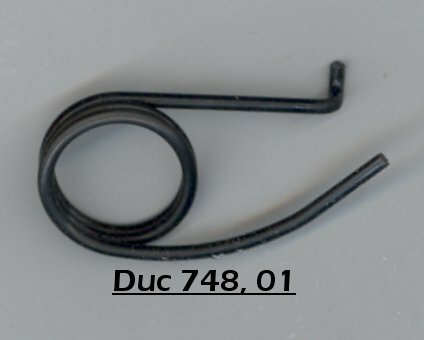 We need a sample stock spring. 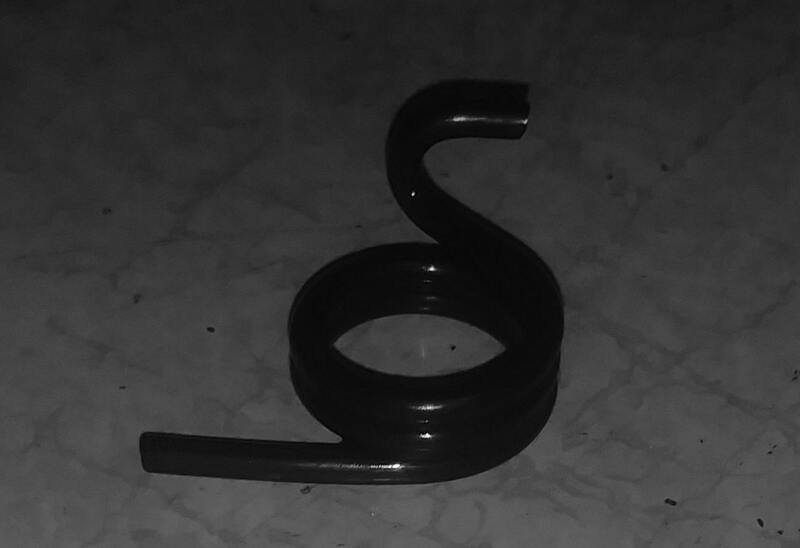 Made microbearing detent arm and heavy duty spring. Discontinued by Honda. 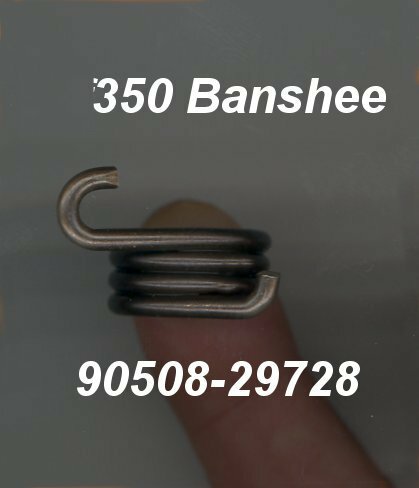 We can make replacement spring (with sample old spring). 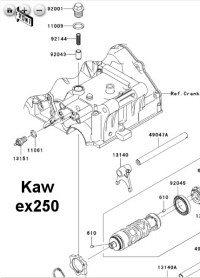 CL450 For sure, can make springs. Might be able to rebuild arm. 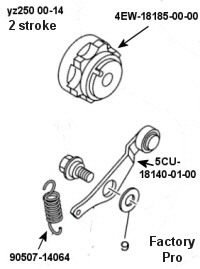 CMX450 Rebel can make spring and rebuild arm. 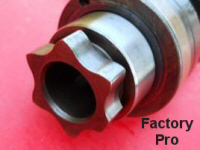 we can make spring from your sample and rebuild your stock arm. 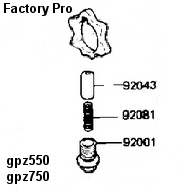 24430-KA4-000 STOPPER, DRUM - discontinued by Honda, but we can rebuild your worn arm. 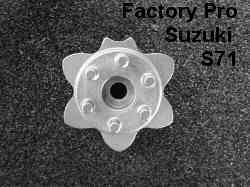 We can make spring from your sample. 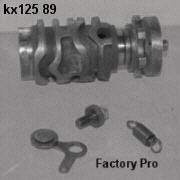 can make an F-Pro spring. CX500 Can make spring and can rebuild arm. FT500 Ascot Can make spring and rebuild arm. 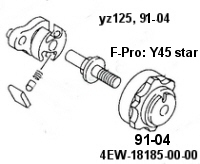 used two springs, 1 for n and 1 for g.
new stopper is discontinued by Honda. We may have rebuilt arms. 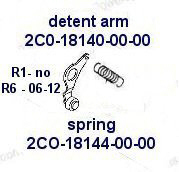 Stock spring is discontinued from Honda. 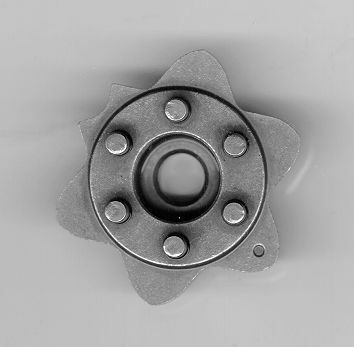 We can make a replacement with a supplied sample. 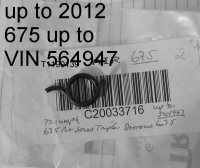 We can rebuild a replacement #7 with a supplied sample. 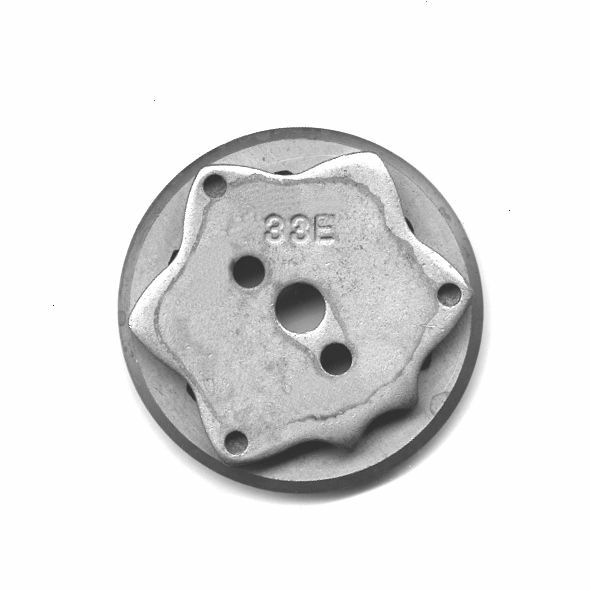 We can make a replacement with a supplied sample. 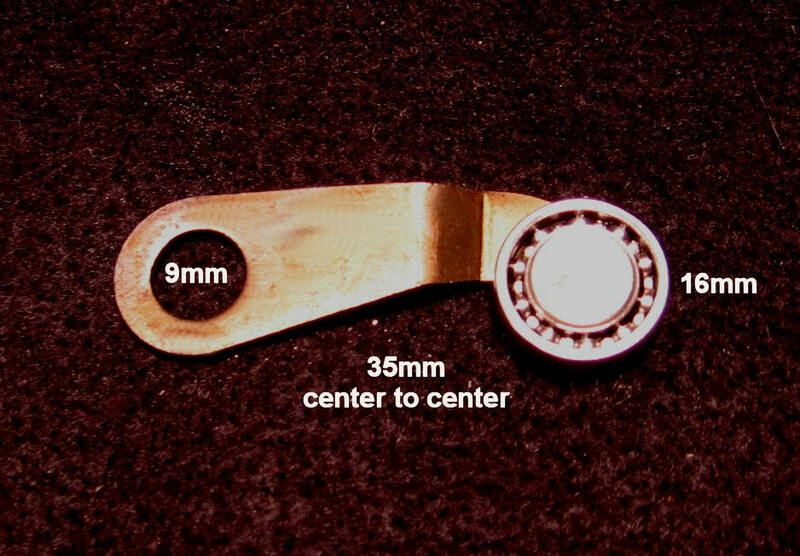 We can rebuild worn arms with a bearing. SHFT- EVO-H21 kit - New Detent Star, Detent Arm and slightly heavier detent spring. 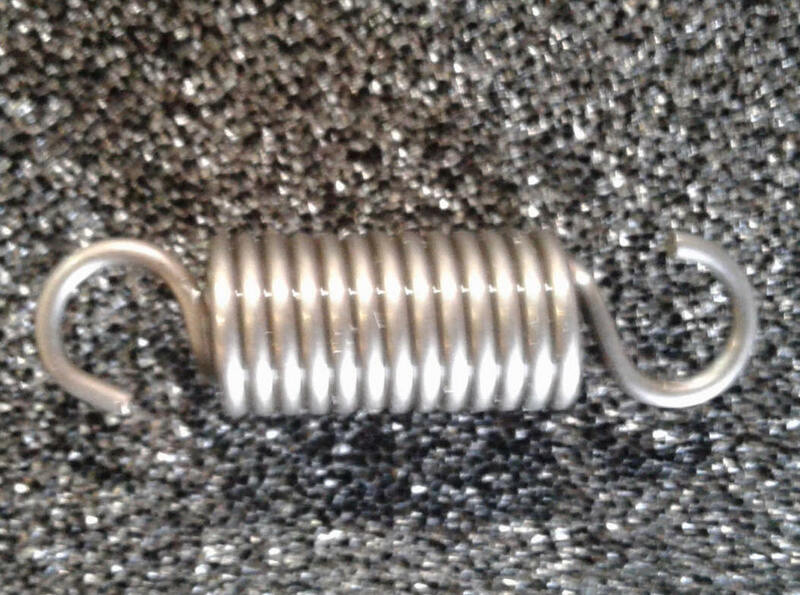 and slightly heavier detent spring. 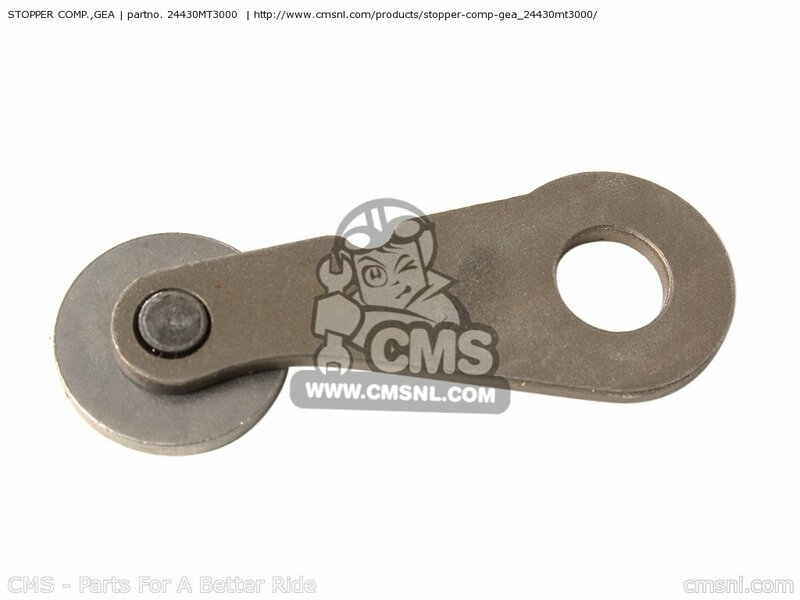 H92 24430-MBB-000 is stock detent arm pn. 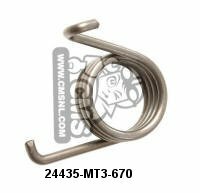 24430-MBB-000 is stock detent arm pn. 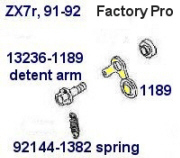 we can make arm and spring upon request. when I was racing the rsc1000. 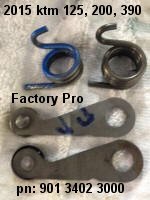 Factory Pro Microbearing arm Upgrade. 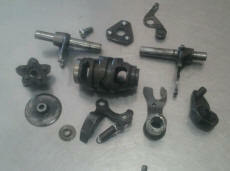 We can rebuild your worn arm with a bearing or perhaps we may have a rebuilt unit in stock. 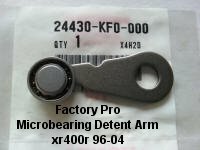 Call 415 491-5920 for microbearing arm. 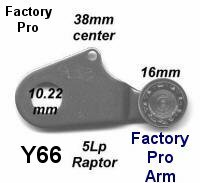 note: same arm but diff roller as GL1500c Valkyrie 97-03 - use 16mm bearing on both. 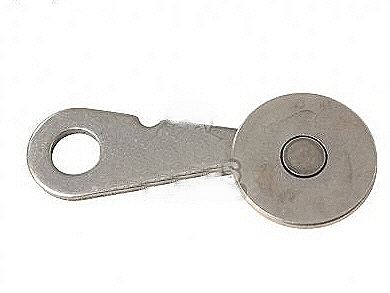 To adjust preload for softer action, the stock aluminum shim washer is 1mm thick. Adding more shims will make shifting softer. 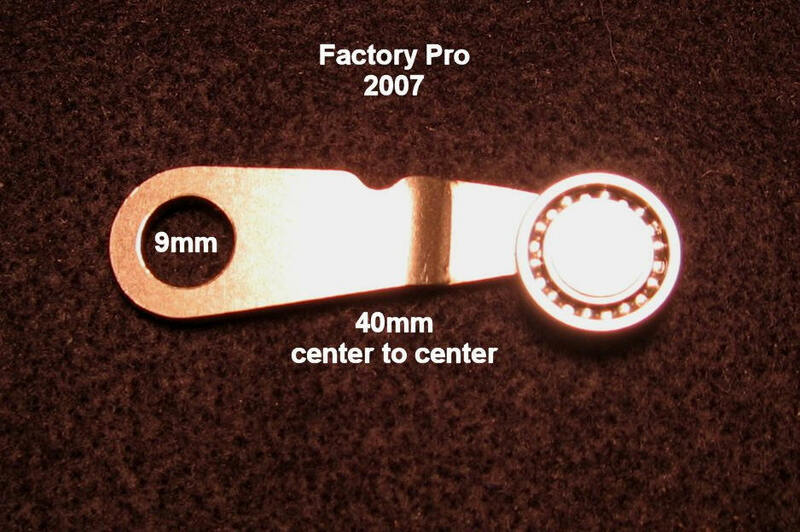 ok to use our microbearing detent arm with any of the original springs and any aftermarket star. ?? 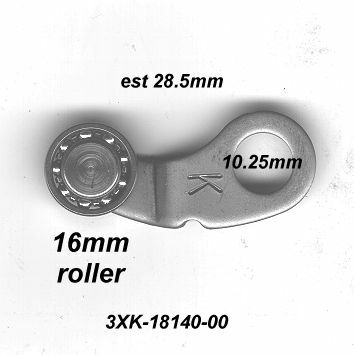 roller or bearing ?? 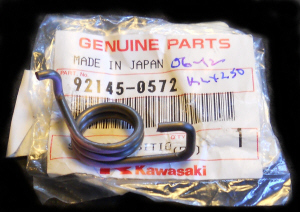 oem kaw pn: 92081-112 1.0"
As used by Team Kinkos Kawasaki. 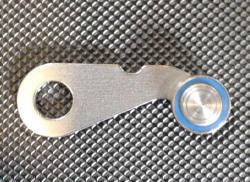 Hybrid Ceramic Bearing Detent Arm now available. 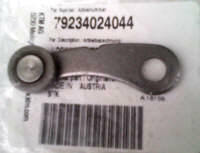 13236-0114 detent arm has std steel bearing. Upgrade to Hybrid Ceramic bearing. 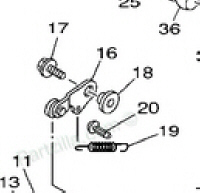 13236-0114 detent arm has bearing. We can make hybrid ceramic microbearing arm. zx600 Ninja 85-87 order our spring for this bike. We can make arm and spring. We can make arm and spring. Maybe spring sim to k35 spring? 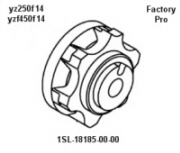 stock arm is ok but we have a hybrid ceramic bearing version. We can make custom detent arm. 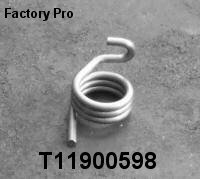 We can make custom spring. 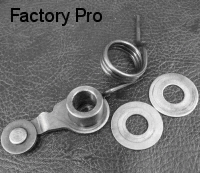 later kz1000p models use 2 torsion springs. 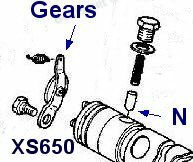 the other arm is for the gears. We can make a Hybrid Ceramic Microbearing Detent Arm. 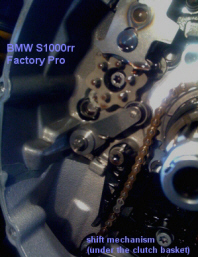 it's also a ZX12r, Zephyr 1100 and zg1200 spring. 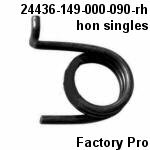 We can make a steel or hybrid ceramic microbearing detent arm or arms. 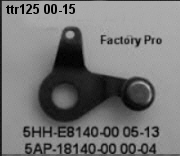 w "official" arm The zx12r is specced to use a 13236-1307 arm. Some came with a reversed 1307 arm, though. 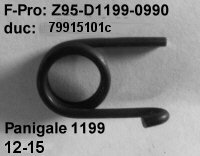 This is an "official" detent arm F-Pro: z95-097-0590-RH spring. 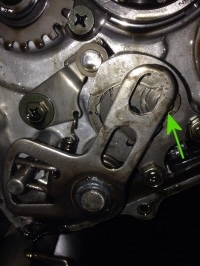 w "backwards" arm The Great zx12r Mystery. 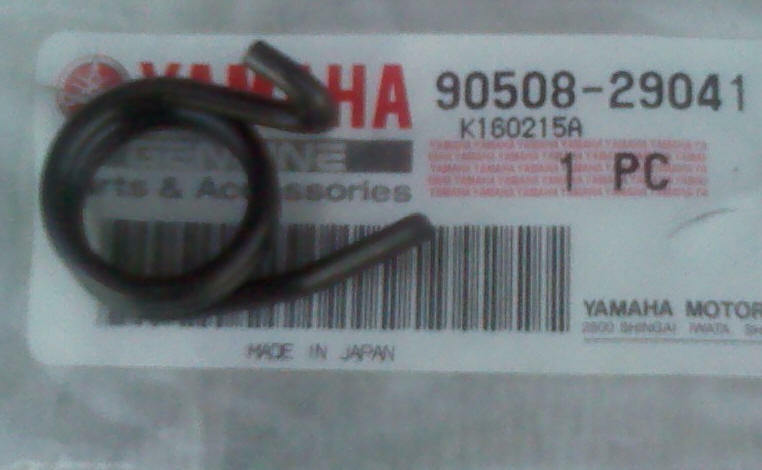 Some random bikes came with a reversed 1307 arm. 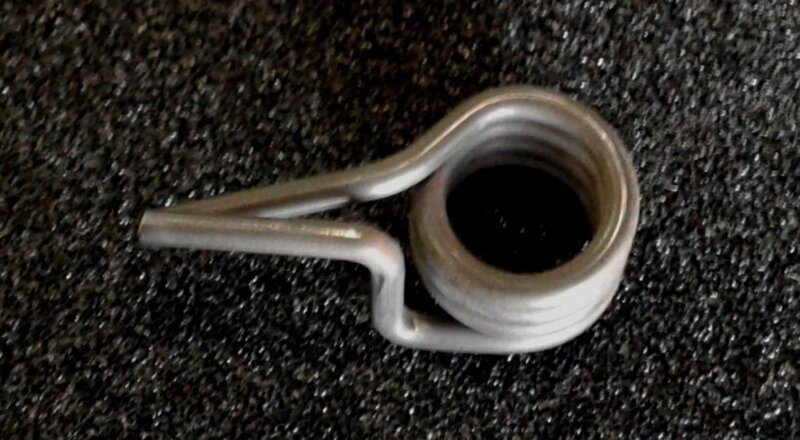 This is a "backwards" arm that's in some bikes. 65 sx 98-01 placeholder only - To be developed if enough interest. 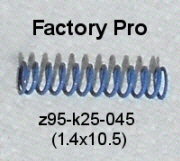 and F-Pro Z95-kt5483 spring is available special order. 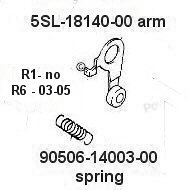 250 98-13 Stock arm is good and spring is special order. 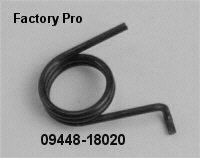 Microbearing Detent Arm is special order and spring is in stock. 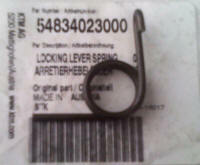 450 03-12 Z95-kt612-0990 spring is in stock. here and spring is in stock. 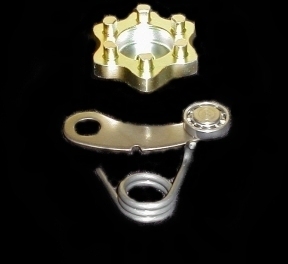 buy here SHIFT DRUM LOCATING ALU CPL. 60034015044 shift star / shift arresting cpl. 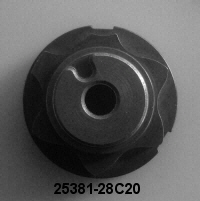 We can make spring with a sample. stock 13-14 rmz450 spring is way too stiff. stock 13-14 rmz450 spring is way too stiff as is. 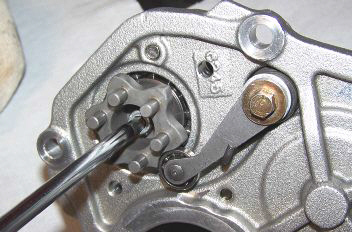 Stock feel is "notchy", due to shape of the ramps. I don't like the way the Suz's feel when they are shifted. 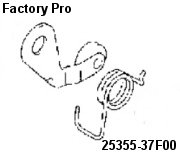 The SHFT-PRO-SUZ-37 kit helps shifting quickness, precision and misses fewer shifts. 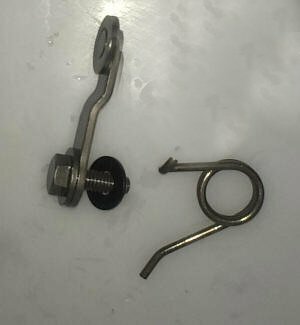 Microbearing Detent Arm and spring to Fix Shifting. no star as of 12/13. 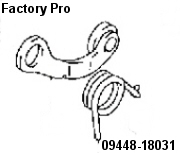 we can make a microbearing detent arm and F-Pro shift spring. TZ250 92(ish) to late We have new arm. 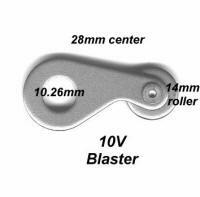 Use our Y25 Kit Detent Arm. Huge improvement - esp. in downshifts. We make a new arm. 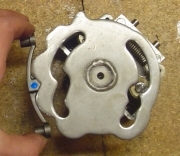 Y45 Shift star kit with arm and gasket. 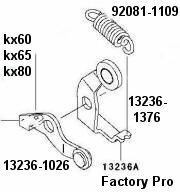 Factory Pro Shift Star "Y45"
99-15 yz250 Factory Pro Shift Star "Y45"
Click here to buy Hybrid Ceramic Shift Detent Arm. we have a replacement "Y45" Shift Star for it. We can make hybrid ceramic microbearing detent arm. 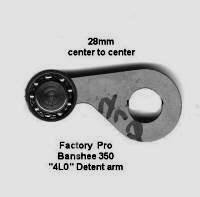 We can make microbearing detent arm. 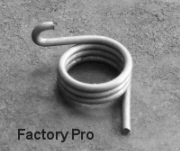 and F-Pro spring on a supplied core arm and with a sample spring. 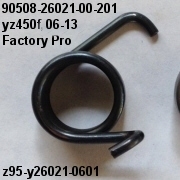 yz400 We can make a microbearing detent arm and F-Pro spring. Sometimes they have a bearinged arm, sometimes they don't. 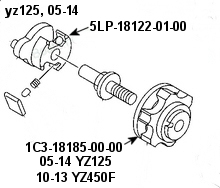 yz490 82-90 The shift star is part of shift drum. 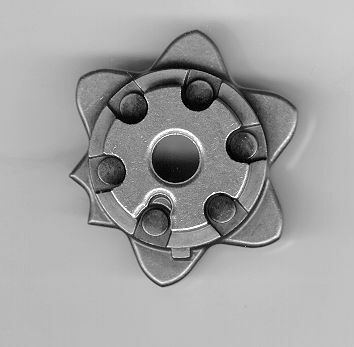 With a sample, we could make a shift spring. 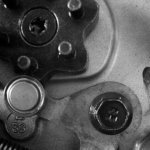 We can make a new, fresh spring from your old, weak sample. xv535 87-97 Could make an arm. F-Pro Shift Star is available. Detent arm takes 1-2 weeks. We can make hybrid ceramic arm. 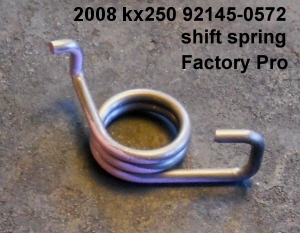 Replace spring often - when shifting gets sloppy. we can upgrade your stock arm. we can make w sample. Bake spring overnight at 325f before using. RVF400RR-T 1994-96 NC35 SHFT-HON-?? SHFT-PRO-HON-? ?